The term vlogging might seem like such a millennial or Generation z thing to say. But not anymore… In fact, as of 2019, vlogging is turning out to be a dependable business model for a lot of company owners. Vlogging doesn’t just apply to the younger generation. It belongs to everybody now. And anybody can put out content on the internet and be appreciated. Vlogging is just one of the many methods you can do video marketing, but it’s one of the most engaging mediums available today. Just by picking up that camera and start recording anything that happens with your business, you can give your clients a sense of knowing you and understanding you — not as a company that sells things, but as a group of human beings living normal lives. Thanks to the rise of many social media platforms, and YouTube — in particular, videos have become one of the main sources of information. It’s a powerful marketing tool designed to reach your target audience like never before. Vlogging is known to expand on the benefits that typical blogs bring. Videos offer something more and something different to the table. Are cost-effective: All you need is a camera, an editing software, and your sunny self. Reach more of your target audiences: Vlogs increase your online presence. With every new video you post, you put yourself and your company name forward. Are bite-sized: People can learn information and retain it through sounds and visuals. Demonstrate your expertise: Vlogs give you the chance to establish yourself as an expert in your particular field. 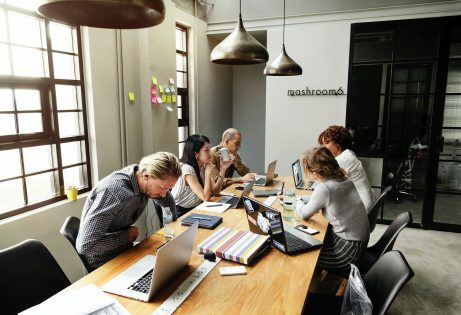 With all those benefits, it’s no surprise why many of the world’s biggest entrepreneurs have incorporated its capabilities into their respective marketing strategies. A glance at these highly authoritative individuals can be slightly discouraging if you completely focus on their established styles and the atmosphere they can easily cultivate. But a point you shouldn’t miss is that anyone can do it — as long as you have the right tools, the guts and the determination, and a goal. But even so, despite video’s generally revealing quality, it doesn’t overrun the fact that’s it’s still a powerful marketing tool to utilize in today’s world. And we all hate being left behind, don’t we? Every successful vlogger would be the first to agree when we say that creating a series of successful vlogs involves a lot of time, and a lengthy commitment. The benefits that you reap from your vlogging venture are tied to the amount of effort and creativity you exert to produce it. 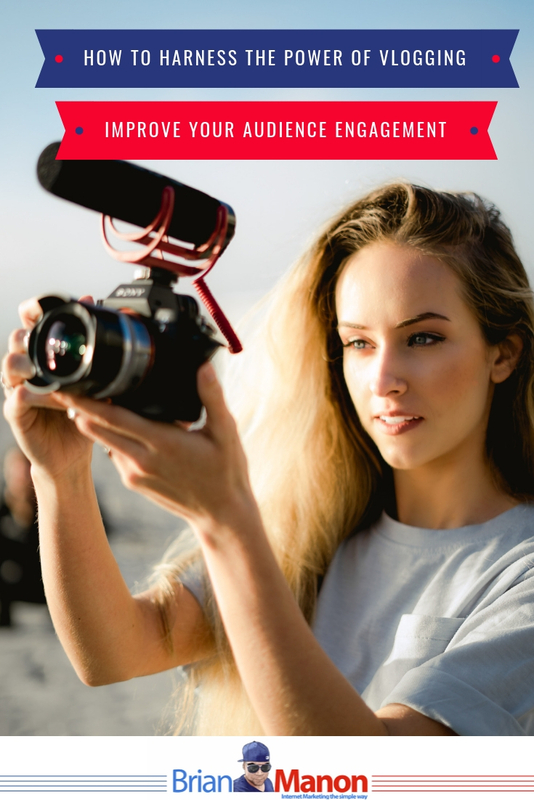 Vlogs pave the way for your business to personally connect with your target audience. And despite what people might say, your vlogger is a representation of your company’s brand. There are vlogs created by a small business owner, while others hire a personality. Both options have significant value. Business owners know the company intimately and therefore would require less memorization, and can tell stories about the company fluidly. Hiring a personality who is proficient at acting and energizing an audience with their hyper characteristics can increase the quality of the video. But you have to keep in mind that whoever you choose, they must be able to represent your brand identity down to a T. So decide on who your representative will be carefully. You don’t want to sit or stand in front of a camera looking like a stupefied person, not knowing how to act or what to do. And that’s why, before you start on your blog, you have to think about what your vlogs will be all about. When people think of business vlogs, most of them align that type of content immediately with informative videos, frequently-asked-questions, and tutorials. That’s fine… But you can move beyond that. Vlogs can be literally anything you want, so think outside of the box. Don’t limit your own creativity. You can create an informative video and an entertaining one at the same time. It doesn’t immediately entail introducing every single one of them, but showing some of them or letting them have cameos in your videos now and then is a good idea. This is one way to build trust and provoke other human emotions from your audience. It shows your viewers that they are interacting with actual people, and not just a modern building that promotes products and services. You can try having a series where each department, or team, gets to be in the spotlight. And furthermore, you can use this opportunity to show others the culture within your company, building a better brand persona. Did you attend a large noteworthy event recently? Or maybe it was a convention. Or any other event that gave you the chance to showcase your company and market on a human-to-human level. Tell your audience what you learned, what you saw, or who you met. You not only benefit your company, you provide advantages to your audience as well. You never know, but some of them love knowing about the industry’s latest trends unveiled in huge events. They consider it insider info, and when you cover all the bases, rest assured that many will be grateful. By chance, have you seen some famous YouTubers’ videos? People like Shane Dawson, Jake Paul, Lily Singhs, Ryland Adams, even Eva. At one point in their careers, they’ve made versions of ‘a day in my life’ videos. Don’t do it because you want to jump into a bandwagon. Do it because you want to show your audiences what life is like in your shoes for a moment. Give them that behind-the-scenes video they’ve wanted ever since they began tuning in. Oddly enough, there’s an inherent itch in all of us that makes us curious about another individual’s daily routine. Show your viewers what it’s like to work for your company; what kind of responsibilities you’ll be handling. And moreover, you can even turn it into a series. And while you’re in the process of filming a “Day in the Life of,” you might also want to consider doing interviews. It doesn’t have to be with other people (although that’s a great idea for the future), but you can start small by talking to the people in-charge in your company. Granted, your higher-ups have many interesting stories to tell. How the company started, the number of employees they initially had, the ups and downs the company faced through the years, other grand plans for to aim for in the future, etc. Interviewing these people adds another layer of humanity in your otherwise neutral vlogs. Who knows? You just might find inspirational stories worth hearing, or humorous ones everybody can laugh at good-naturedly. Let me start off this subheading by saying that more and more people nowadays are enthralled with purchasing products online. And because they’re highly meticulous individuals, then of course they do their research. They need to know that they can trust a company’s products or services first before they commit to anything. Customers require assurance that they’re making the right decision. And as an honest company, of course you would want to give them that assurance they crave for. And that’s why, now’s the perfect time to do a “Responding to customer feedback” segment. Taking the route of showcasing customer feedback on your vlogs is a good way to show your viewers that customer service matters to you and your company. 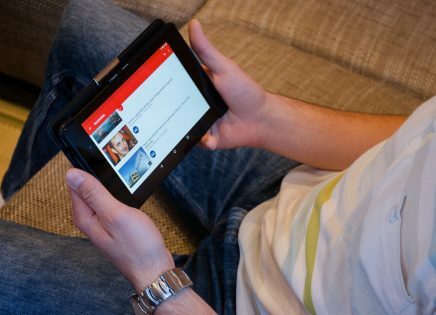 These types of video content are more beneficial and useful for a company with a brick-and-mortar store, or selling an actual product. But nevertheless, it’s still very creative and beneficial in the name of content creation. Unboxing videos: Uncovering new products and giving reviews is a classic way of vlogging. As you broadcast your opinion, you encourage others to leave theirs as well. Demonstrations: New products or even pieces of technology that come out come with textual manuals. But through demonstrating what a particular object can do, you can provide a more comprehensible guide for your audience. Tutorials: Show your audience how to do things step by step, so they’re less likely to get lost. For vloggers, YouTube and social media is the place to be. Accompanied with a strong video optimization plan, your videos uploaded on YouTube just might get the attention it’s warranted. But despite having YouTube as a good platform for increasing visibility, don’t rule out showcasing your newest vlogs in your own website as well. Embedding your videos into your accompanying blog or social media posts gives you control over the environment. You can dictate what kind of content goes with the video, and how you want to present it. Consistency is one of the main keys to achieve vlogging success in this type of video marketing. It’s not overnight success, but with the right mix of consistency and commitment, you can have a YouTube channel attracting your target audiences. Don’t fret or stress over nothing happening in two or three days. It takes a month, at least. Some take even longer. Remain patient and diligent. As discussed previously, many businesses can surely benefit from integrating video blogging into their online marketing initiatives. 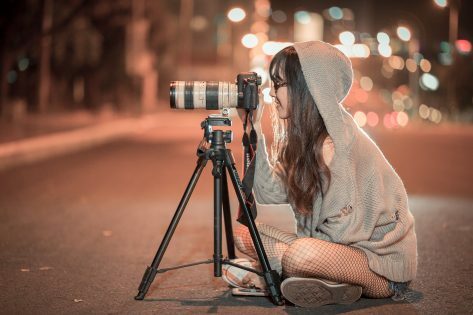 People are ushering in the new year, and vlogging’s relevance will only grow as more and more businesses steadily follow in the footsteps of successful vlogger entrepreneurs. Al Gomez is a digital marketing consultant. He is the President of Dlinkers, and he specializes in SEO, PPC & Web Development since 2008. Al has over 10 years’ client Digital Marketing experience and has helped businesses such as Dr. Berg, Patexia, Panel Wall Art, the Ritz Carlton, and countless others use the web to drive online visibility and generate leads. He has even started, developed, and managed an ecommerce website — Unlideals.com and an SEO website, alseoperth.com.